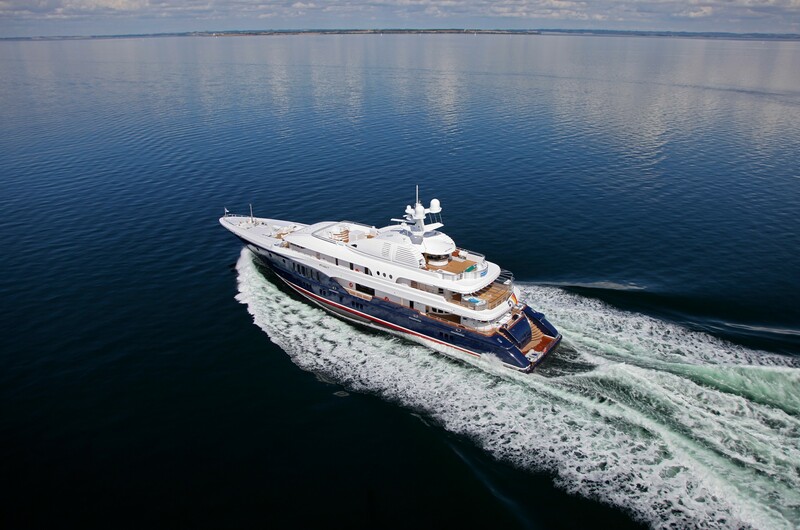 This 68M CUSTOM SUPERYACHT was constructed by Nobiskrug in 2010 with a steel hull and aluminium superstructure and is a great choice for family holidays, luxury getaways with friends or corporate events. 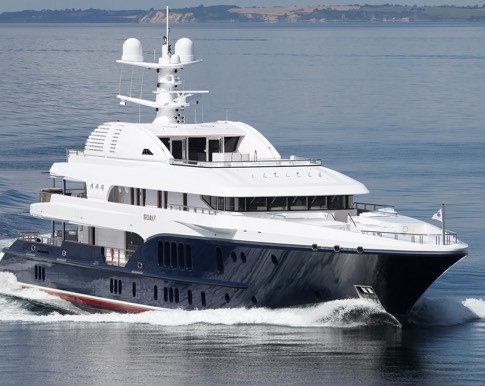 Last refitted in 2017, her 68m/224ft she has the exterior styling of Craig Beale, while her interiors come from Pure Detail. 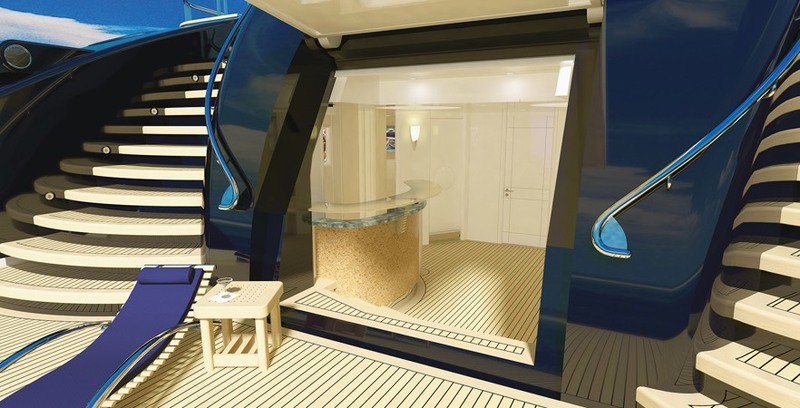 The accommodation is designed to sleep up to 12 guests across six cabins. 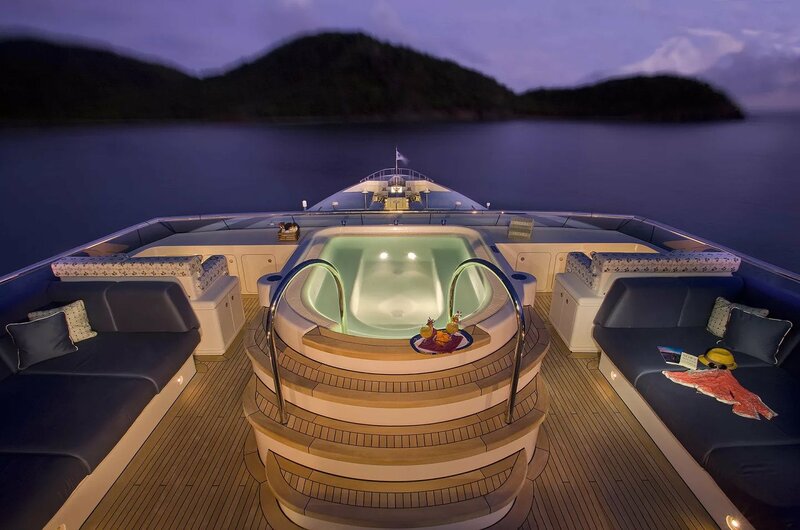 On the lower deck, the swim platform offers an exterior sunbathing area of complement the shaded beach club in the stern. 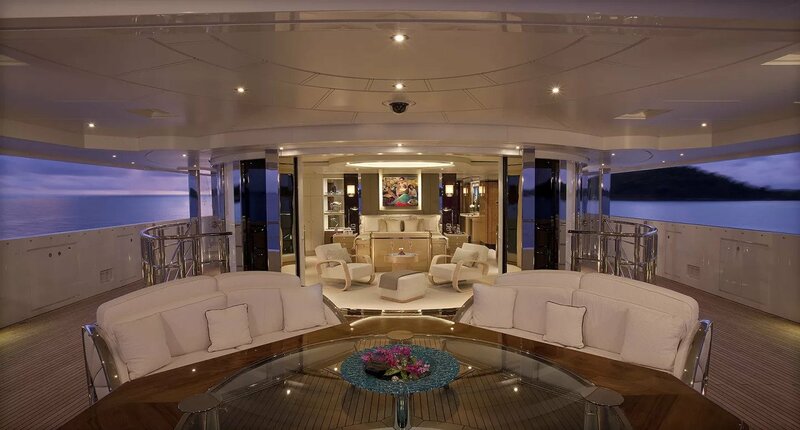 Steps on each side lead up to the main deck aft and the alfresco lounge, which consists of a spongy aft sofa that looks out across the stern, plus an enormous C-shaped settee for all guests to gather for a casual alfresco meal at the two square tables. 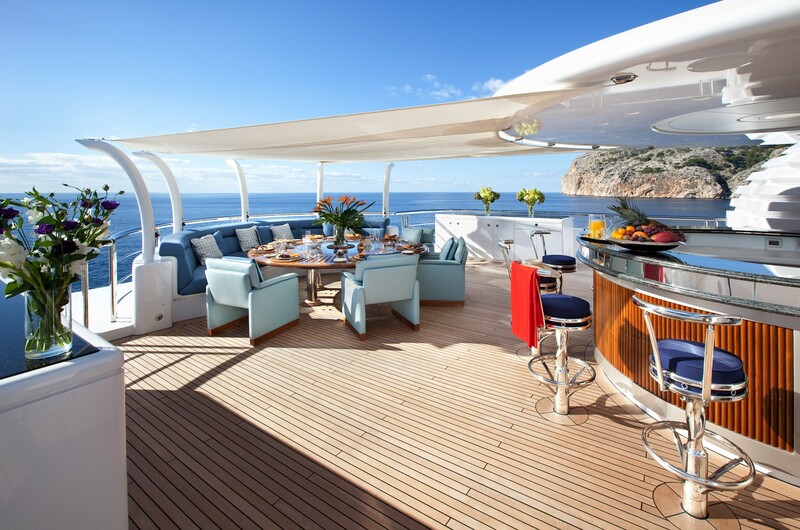 The upper deck aft provides a more glamorous alfresco dining area at the circular table with integrated seating along the stern and four additional comfortable armchairs. 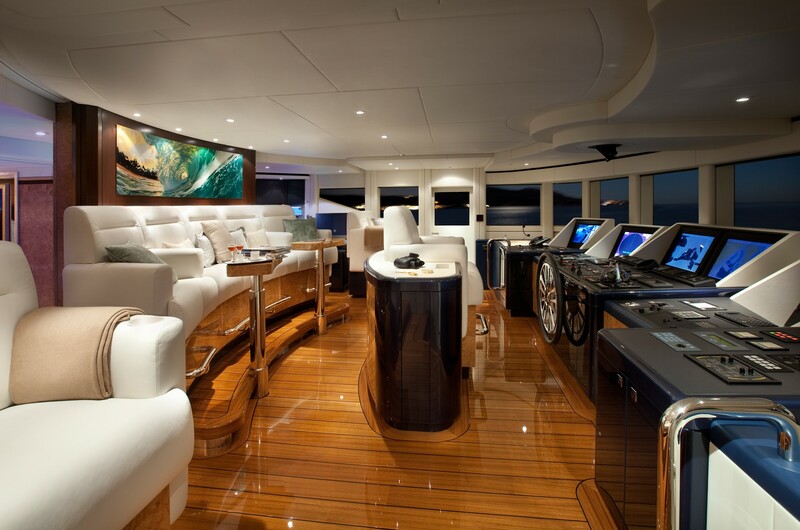 The forward Portuguese deck is laid out with a plush central sun pad and a sofa on the port and starboard sides. 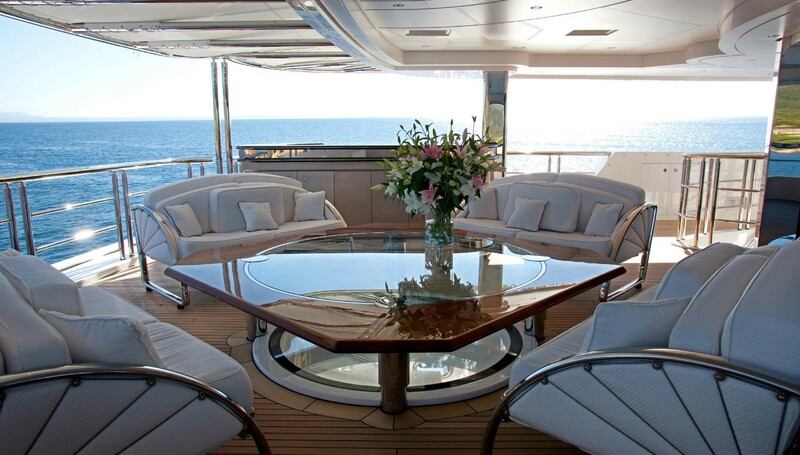 This area can be shaded with a canvas for all-day alfresco lounging, enjoying uninterrupted views. 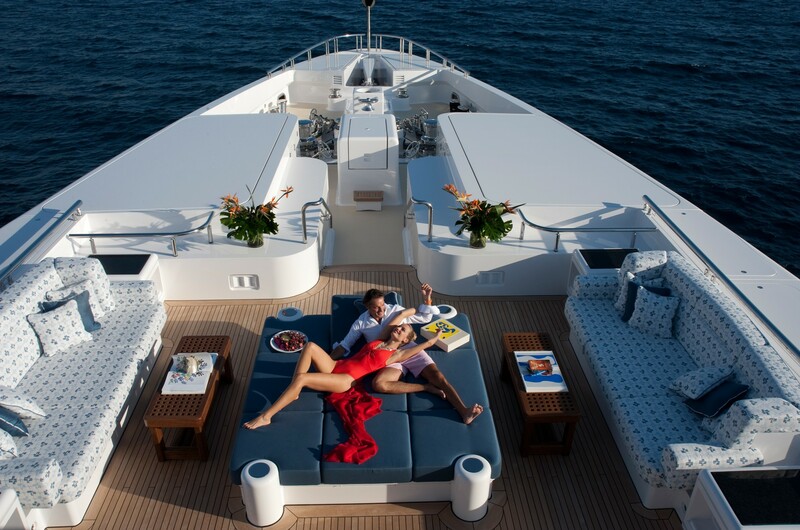 Above, the sundeck is divided into a forward section and an aft section, the former being the location of the massive oval Jacuzzi, two large sofa sun pads on the port and starboard sides and plenty of sun loungers. 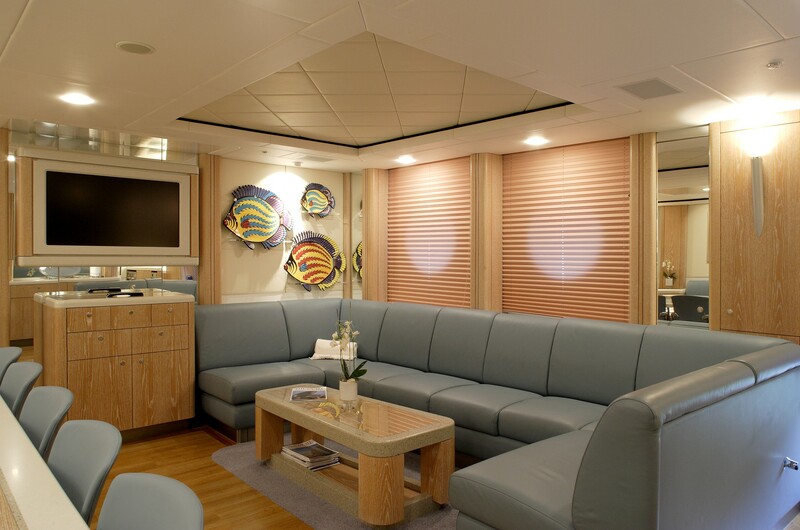 The aft section is designed for entertaining and relaxing outdoors and has an extensive wet bar and a casual circular seating area along the stern. 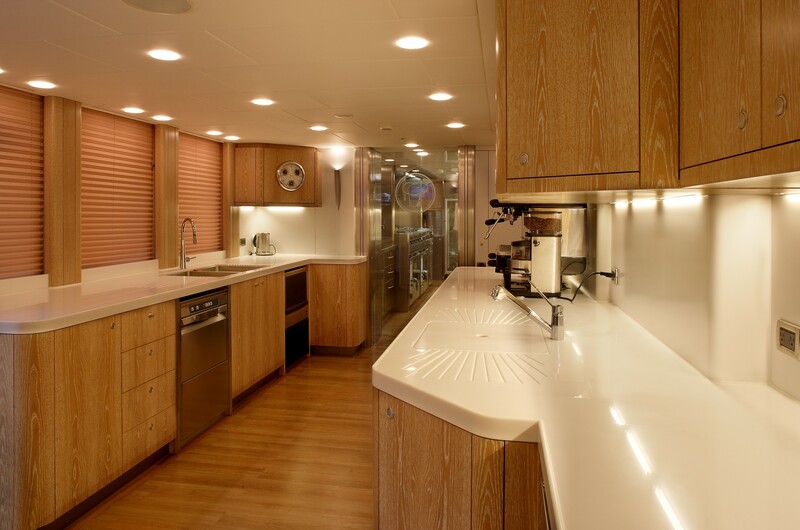 The 68M CUSTOM SUPERYACHT as a modern interior that uses a neutral earthy colour scheme of beige and cream to complement panelling and dark wood accents. 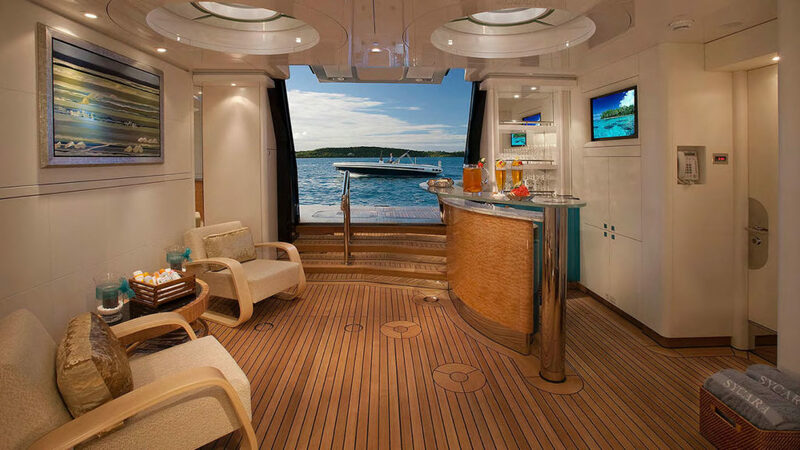 The lower deck aft contains a beautifully designed beach club that has seating, a wet bar and a day head with a shower for rinsing off after swimming. 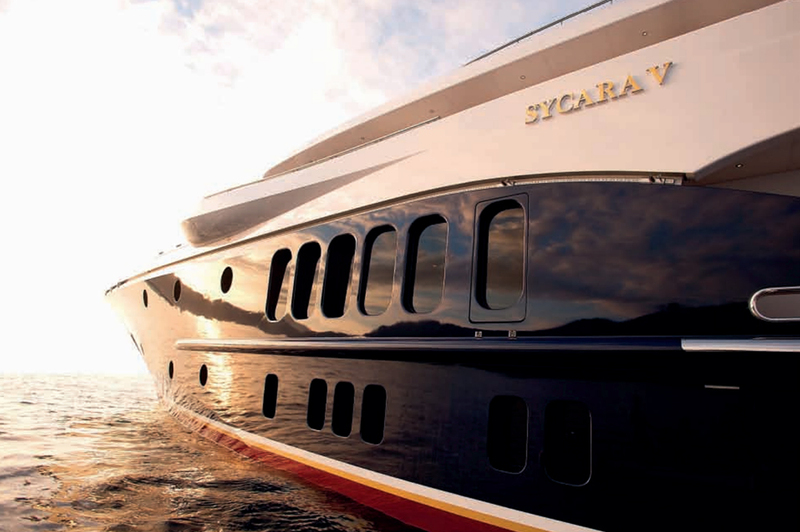 Forward of the beach club is the tender storage, which uses side hatches for quick launch and retrieval. 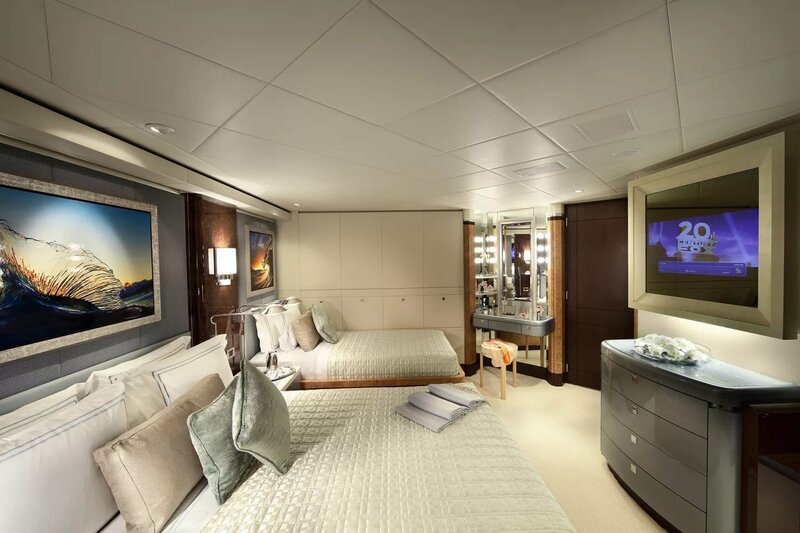 The engines are positioned aft of centre and amidships is the guest accommodation, consisting of one VIP stateroom and three double cabins, all with en-suite facilities. 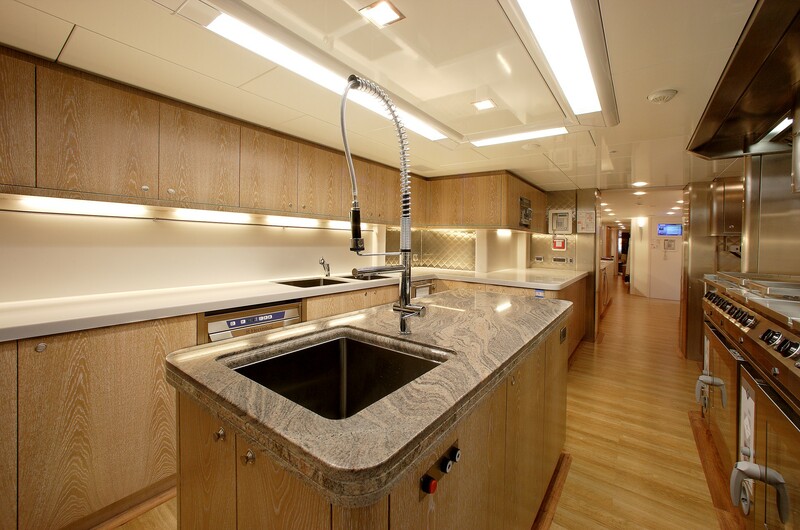 The bow section contains the crew accommodation, while the main deck forward contains the galley and mess. 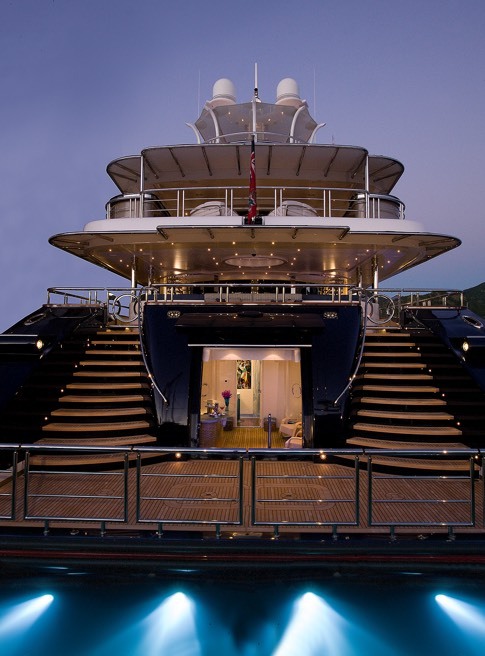 The main deck foyer has a lift (elevator) as well as a staircase connecting the floors. Forward of the foyer is the library lounge, which offers a cosy environment with a widescreen TV in front of an L-shaped sofa, armchairs and a coffee table surrounded by vibrant modern artwork. 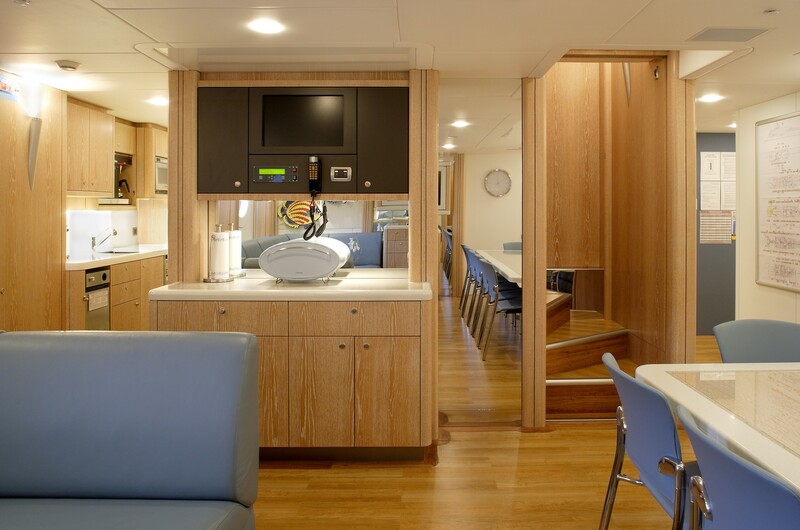 Behind the main foyer is the main lounge that benefits from plenty of natural light through the full-height windows. 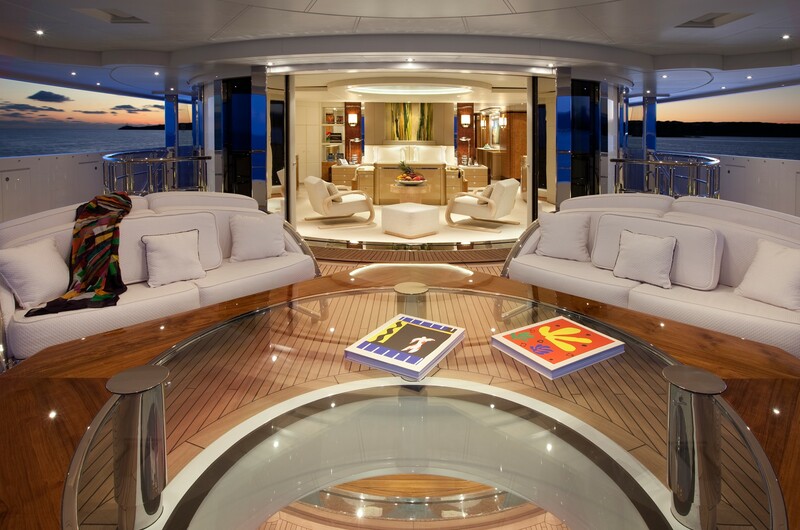 Two sofas and armchairs face in around two coffee tables, while to the aft there is a games table for after-dinner conversation. 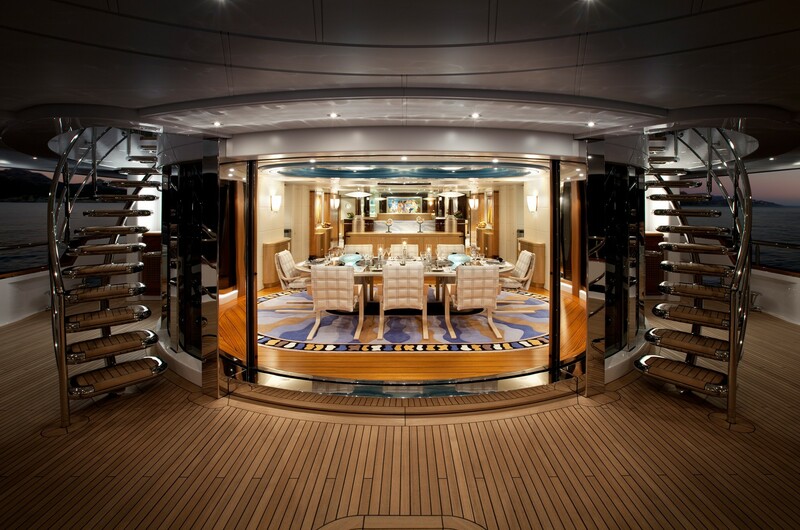 The formal dining area seats 10 and is situated beside the sliding doors, which can be opened up for fresh air and the ambient sounds of the surroundings. 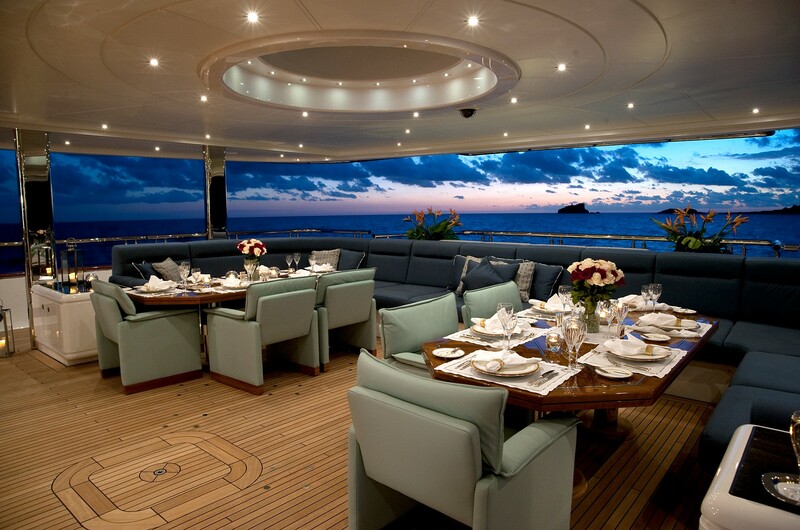 An extensive bar is located between the formal dining area and the main salon for quick and convenient service. 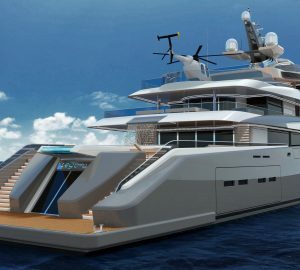 The upper deck belongs to the Owner and has a large Master suite to the aft with sweeping views out of the floor-to-ceiling glass sliding doors. 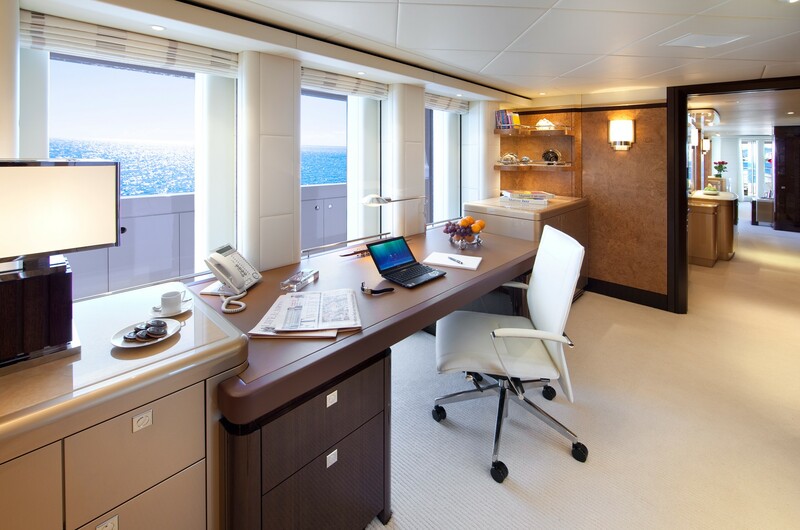 The suite has enough room for an aft-facing lounge while forward there is a generously-sized en-suite bathroom with walk-in wardrobe and an office/study. 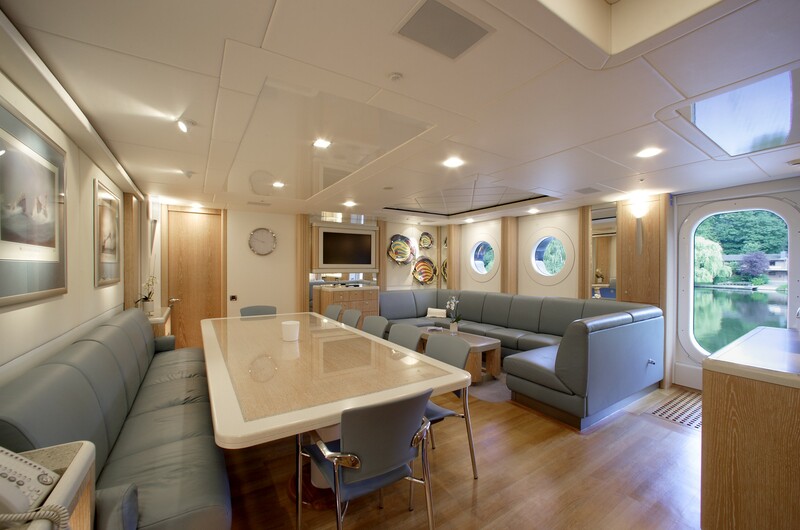 A single cabin en-suite is also located on this floor and is ideal for children of staff. 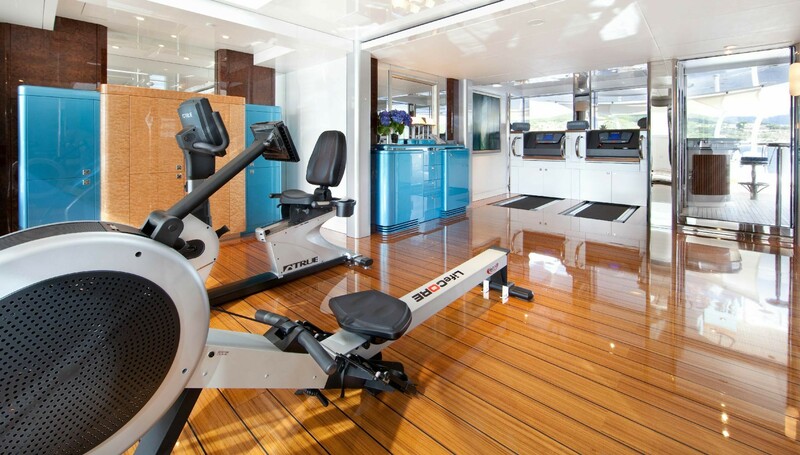 On the sundeck, the interior section is dedicated to a gym and has a day head and a massage room for unwinding post-workout. 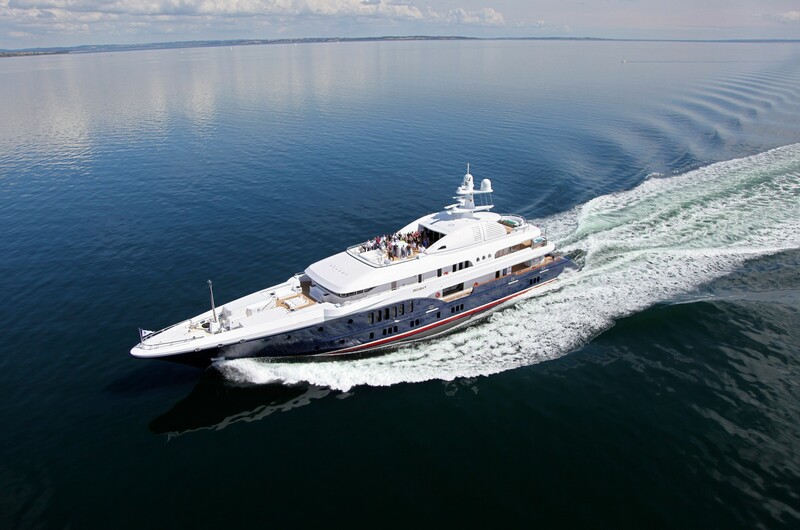 2 x Caterpillar 3516 engines producing 2,130 HP each allow for a cruising speed of 14.5 knots. 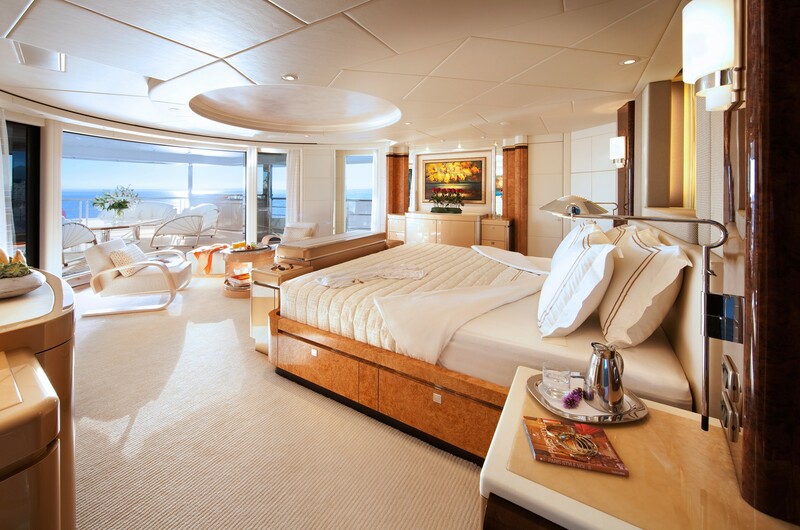 The accommodation sleeps up to 12 charter guests across 6 cabins: 1 Master suite, 1 VIP stateroom, 3 double cabins and 1 single cabin, with 3 additional Pullman berths and en-suite facilities. 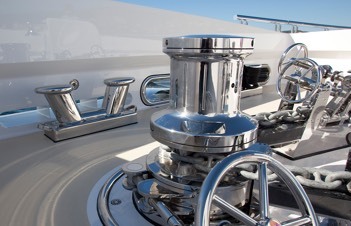 The expert crew of 16 will ensure that everyone on board has a safe and pleasant cruise. 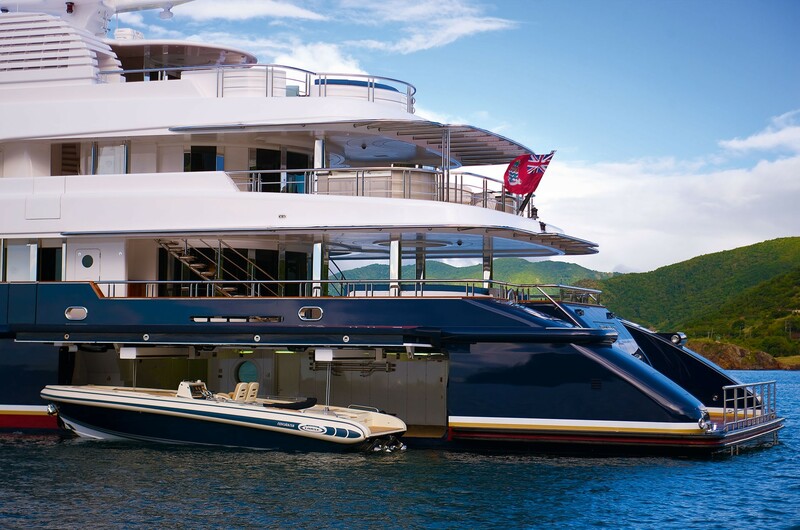 This yacht has a fantastic choice of water toys, fishing equipment and everything for a fantastic beach picnic set up.